Dr. Patrick N. Allitt, Cahoon Family Professor of American History, recently penned an article for The Spectator titled “The women who paved the way for Hillary’s bid for the White House.” With an eye to the upcoming presidential election, Allitt surveys the long history of women from the United States in electoral politics as voters and candidates. Check out the excerpt below and the full article. Historian Carol Anderson, Samuel Candler Dobbs Professor of African American Studies, was recently featured in Politico’s “50,” a guide to “the thinkers, doers and visionaries transforming American politics in 2016.” Anderson is featured alongside Michael Tesler, a political scientist at the University of California Irvine. 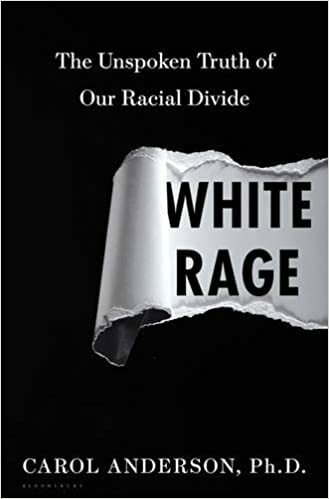 Situating the 2016 election in a longer historical context, Anderson and Tesler assert that “white racism has long shaped American politics—and 2016 is no exception.” The article highlights Anderson’s recent book, White Rage: The Unspoken Truth of Our Racial Divide (Bloomsbury, 2016). View an excerpt below and check out the full article. Congratulations to Dr. James V.H. Melton, Professor of History, whose most recent book was awarded the Austrian Studies Book Prize by the Center for Austrian Studies at the University of Minnesota. 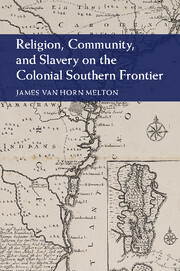 Melton’s work, Religion, Community, and Slavery on the Colonial Southern Frontier, was published by Cambridge University Press in 2015. The prize marks the second in as many years for an Emory historian of German-speaking Europe, following Professor Brian Vick‘s award last year for The Congress of Vienna: Power and Politics after Napoleon (Harvard University Press, 2014). On September 19, 2016, Emory will inaugurate the first annual Brazil Week, a celebration of the university’s engagement with Brazil. The multidisciplinary series of activities, organized by Emory’s Brazil Initiative through the Claus M. Halle Institute for Global Learning, will involve History faculty and students from Emory and elsewhere. History Department faculty within the Brazil Initiative include Dr. Jeffrey Lesser (Chair and Samuel Candler Dobbs Professor of History) and Dr. Thomas D. Rogers (Associate Professor of Modern Latin American History). Check out a schedule of events below, read more about the Brazil initiative, and visit this page to register for the week’s events. Emory professor Michael Page will present Atlanta Explorer, a project dedicated to building and disseminating geographical datasets and tools for exploring Atlanta’s history. Professor Luís Ferla of Federal University of São Paulo will describe the work of Hímaco: History, Maps, Computers, a collaborative laboratory of historians, geographers, and computer scientists exploring the spatial history of São Paulo. This panel, moderated by Professor Michael Elliott, Interim Dean of Emory College of Arts and Sciences, features the current work of these partners in a new collaboration on Brazilian urban studies. Zika virus’ arrival in Brazil and the rest of the world unleashed a storm of public health challenges and media attention. Brazil has been at the forefront of the epidemic and the efforts to address it, and transmission is now ongoing in many areas in the Americas, including Florida and Puerto Rico in the U.S. Dr. Mariana Kikuti, DVM, PhD Candidate, Federal University of Bahia; Dr. Uriel Kitron, Goodrich C. White Professor of Environmental Sciences, Emory University; Dr. Igor Paploski, DVM, PhD Candidate, Federal University of Bahia; and Dr. Lincoln Suesdek, Researcher at Scientific Council of Butantan Institute, Brazil, will provide a brief overview of Zika and its mosquito vector – Aedes aegypti, present findings from their studies in the Brazilian cities of São Paulo and Salvador, and answer questions from the audience. Come join us for pizza and conversations in Portuguese with students, faculty, and staff from across the university and broader community. Additional cultural events will be organized throughout the week by the Brazilian Student Association (BRASA), including Capoeira Performance/Workshop on Monday, September 19 at 7:30 pm in the Woodruff P.E. Center and a Samba performance. Visit here for updates and details. Professor Carol Anderson recently spoke with The Atlanta Journal-Constitution journalist Rosalind Bentley in advance of her appearance at the AJC Decatur Book Festival. Anderson puts recent police violence and the Black Lives Matter movement in historical context, and the interview includes commentary about her new book, White Rage: The Unspoken Truth of Our Racial Divide (Bloomsbury, 2016). Check out a clip below and read the full interview here.